A cable car experience to enjoy the stunning landscape of the Las Cañadas del Teide National Park: we will climb the highest summit in Spain! We will depart from Santa Cruz on the discovery of the hinterland of the island of Tenerife, crossing La Esperanza Forest and Orotava Valley, amongst a wealth of giant pines and eucalyptus. We will arrive in the area of El Portillo, a natural access route to the circular mountain chain of the Las Cañadas del Teide National Park, where Mount Teide stands, which, at 3,718 metres high, is the tallest mountain in Spain. 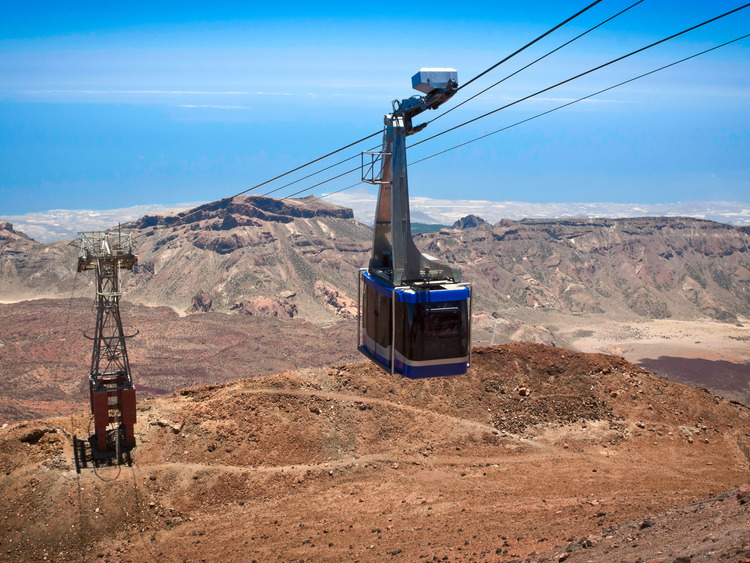 We will continue our tour bypassing magnificent and unforgettable landscapes until we get to the Teide cable car, at the heart of the National Park of the same name, the largest on the Canary Islands and the most visited in Europe. Climbing to the very top by cable car, we can admire the immense landscape and view the craters and coloured lava, least forgetting, the Teide volcano, one of the four tallest and largest structures on the planet, measured from the bottom of the sea and the third largest active volcano in the world. After the cable car experience, encircled by stunning landscape, we will go to the restaurant where lunch will be served, after which, we will return to the ship. During this excursion we reach an altitude of 3,500 metres, along a road that is winding in parts, it is therefore recommended to wear appropriate clothing. This excursion is not recommended for guests with mobility problems or heart problems, as cable car brings guests from 2356m to 3555m over sea level in 8 minutes. Tour is not recommended to babies younger than 3 years old.